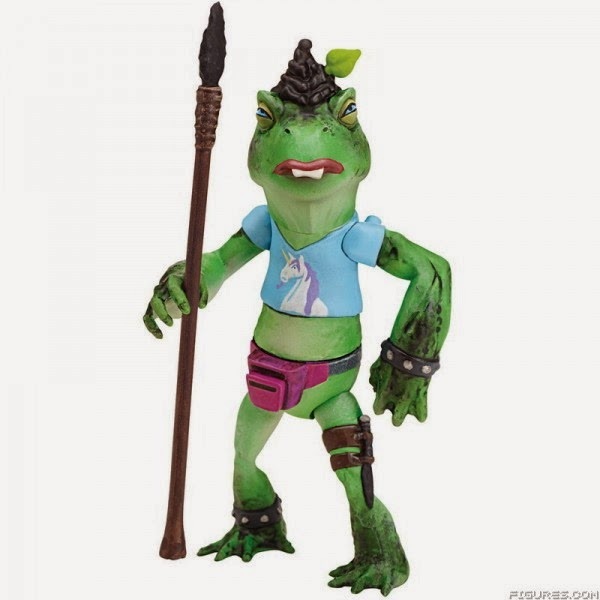 Ok, confession: I really believe this new era of Ninja Turtles is blowing the old series and toys out of the water. Yes, yes, I know. As someone who loved the original line more than life itself, I really shouldn't be saying that. But it's true. The monster/comic book-look definitely makes the figures stand out. 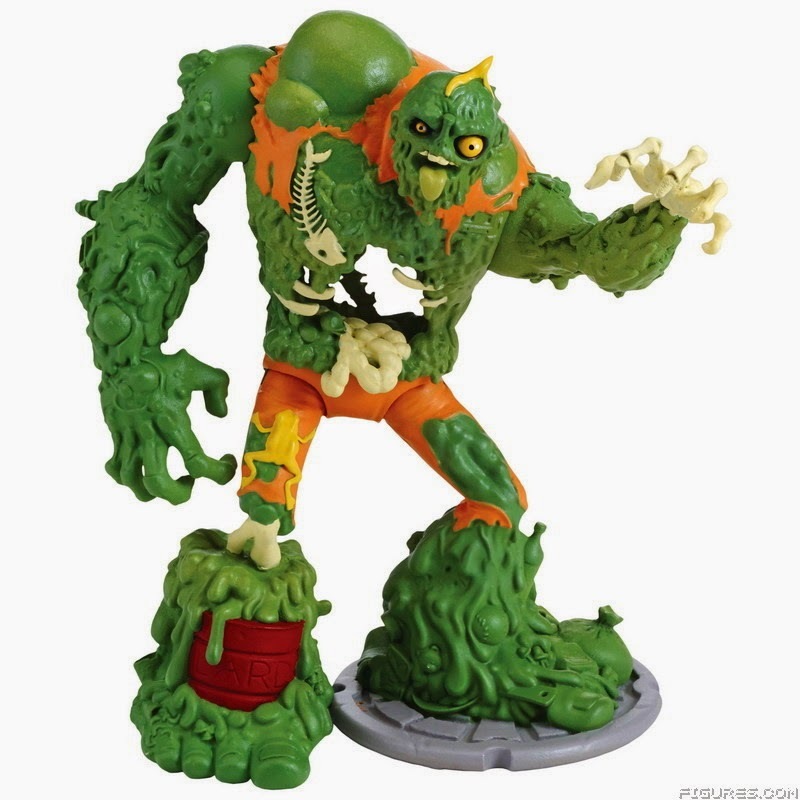 The characters you see above were beloved action figures in the original run, especially MuckMan who was remembered for his TarMan meets Toxic Avenger look and this figure continues that in a more embellished way. Napoleon Bonafrog is on this list because of his appearance on the cartoon. See, I'm a very big fan of Napoleon Dynamite and when I found out that Napoleon Dynamite himself, Jon Heder was voicing Napoleon Bonafrog...well...I had to tune in. And it worked for me. So now, I must own him. I do apologize for typing "Napoleon" so much. It's starting to become redundant, I'm sure. Last on the list is Baxter Stockman. 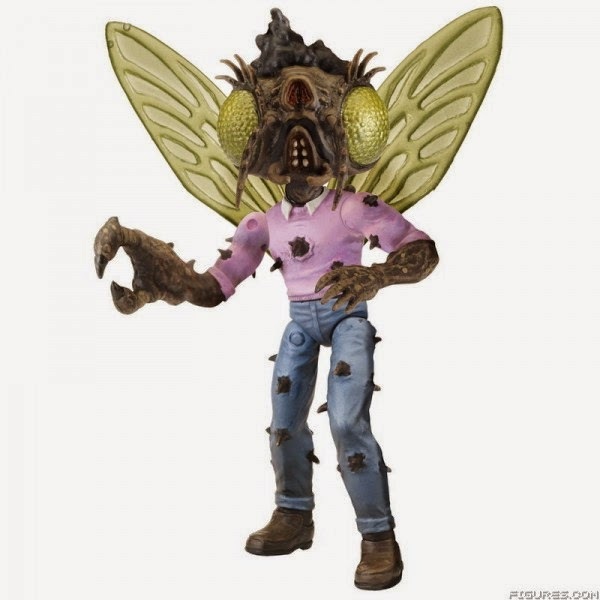 I hear a lot of fans say they didn't like Baxter as a fly in the original cartoon/toyline. But I always loved him. The toy sculpt was great and he provided a great sidekick for Shredder. Now if that figure didn't work for you, this one should. This looks more of a 1950's monster movie that went bad. Which I get the sense is what the show creators were going for. This is one figure that has cross appeal. Monster fans, Ninja Turtles fans, and nostalgists alike can put this figure on the shelf. These figures are pretty much fantastic beyond belief. The lineup is great. Matt Groening, Lenny Kravitz, Stan Lee and Tom Petty. But one figure stands out to me as a must own: ADAM WEST. Yes indeed. Adam guests starred on the famous Mr. Plow episode where he poked fun at his Batman fame and this figure captures the image of the legendary actor that can only be described as "Pure West". Sadly, I don't think he does the Batusi. Speaking of Adam West's Batman fame, Mattel has been releasing a slew of figures of characters of the legendary 1966 tv series. One character that most fans have been hoping for since the lines initial debut was Yvonne Craig as Batgirl. And last year at San Diego Comic Con, we got a glimpse of a prototype. Fans were very happy. My hopes of owning all three heroes of the original series now will come true. Hopefully this figure will be available by the time I meet Yvonne at Niagara Falls Comic Con in June! This figure would look great signed! 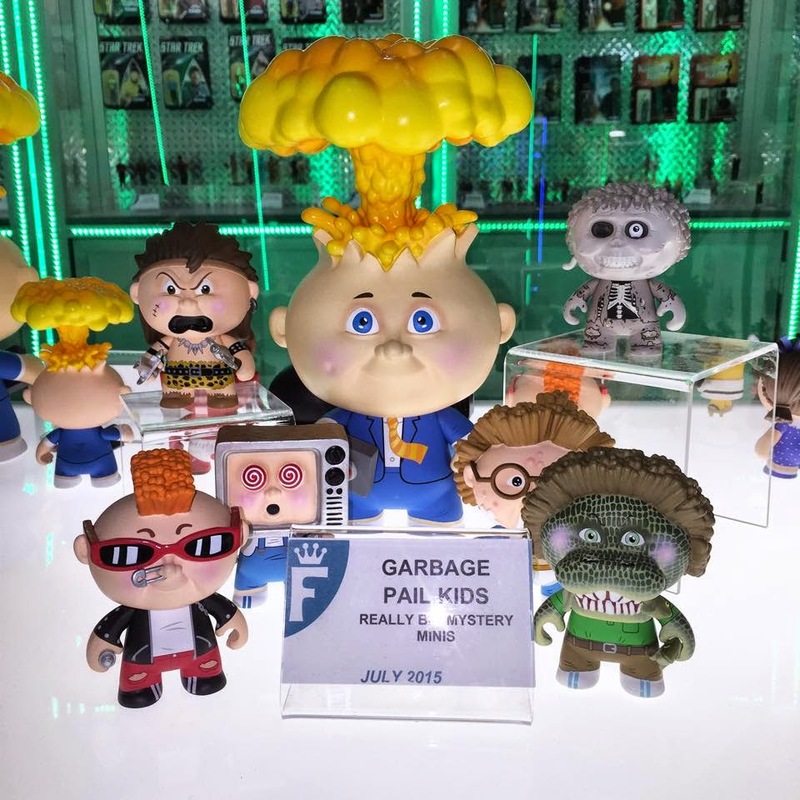 We never truly got Garbage Pail Kids figures during the original run, or ever really, but Funko is solving that problem. These very faithful interpretations of the classic characters are no doubt a welcome addition to all of our toy shelves. The cards were one thing, but figures are another. I can't think of one fan that wouldn't want to own their favorite character. Yes, you can finally put Nat Nerd on your shelf next to your copy of Garbage Pail Kids the Movie. And isn't that what life is all about? Back in September, Stacy Still discussed her favorite unmade figures, and Billy and Kate from Gremlins was on her list. And rightfully so! 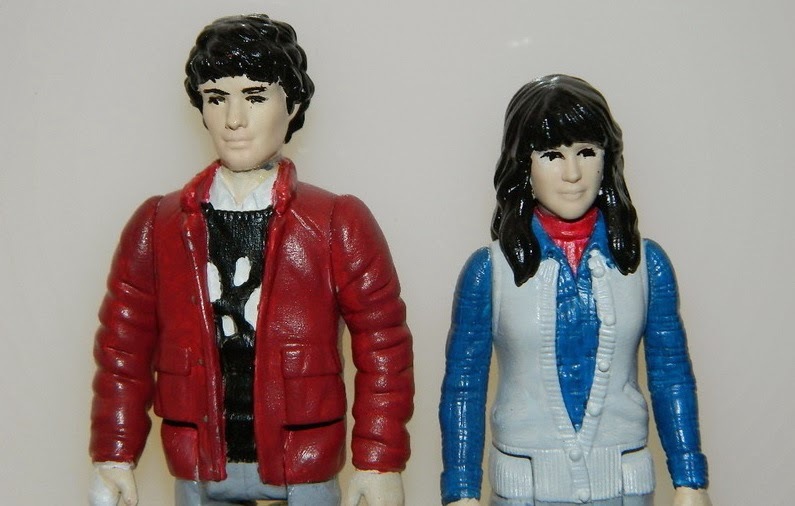 Of all the Gremlins toys and merchandising in 31 years, we've NEVER ONCE GOTTEN A BILLY AND KATE. NOT. ONE. Why?!?!? Well, finally Funko decided to fix that and present us with throwback figures of our favorite humans from the beloved Gremlins movies for their wildly popular ReAction retro line. FINALLY. Billy and Kate. It's about time.Gremlins fans worldwide rejoiced in a collective roar when they saw these beauties And you know Billy will come with a Gizmo in a bookbag accessory. No question. It has to happen. You know for a fact, our friend Stacy Still will buy up every Billy figure, so buy them quickly! 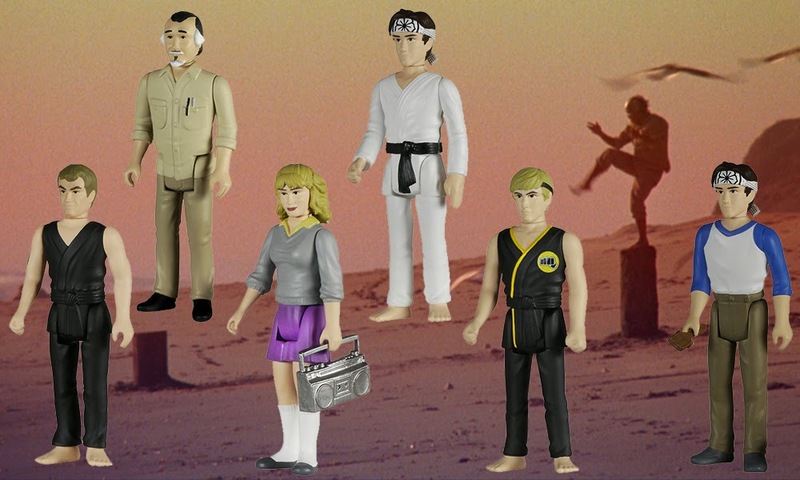 I missed out on owning as many Karate Kid figures as I could as a kid. This gives me an opportunity to make up for that. In the ReAction line, we're gonna see Daniel, Mr. Miyagi, Sensei Kreese, Johnny, and of course Ali, who never received a figure in the original LJN line. I get the sense these will be one of the most popular entrants in the ReAction line. Even if you're not a fan of the Karate Kid figures, you at least get an Arnold from Happy Days figure! Ok, confession...I'm not the biggest Jaws fan on the planet. I've watched it a few time and just never truly gotten into it as much as some of my friends do. I have plenty of friends who worship this movie like I worship Freddy Krueger. That said, when I saw these figures, I quickly reconsidered my allegiance. These are THE FIRST EVER JAWS FIGURES. They're pretty darn cool. These figures represent one of the most legendary icon in its most purest form. Sure, you could get a normal generic shark anywhere, but you can't get a Richard Dreyfuss anywhere. Besides, if you're not a fan of this movie and want to play What About Bob? all you'd have to do is get your Real Ghostbusters Peter and-bam-you're sailing! Brody, Hooper and Bruce will be flying off the shelf, no doubt. Pick them up soon! Photos courtesy of Figures.com, unless noted. I'd love to plaster a wall with the entire Re-Action line. I'll start a crowdfunder ti make sure you achieve that goal! I am really excited about that Muckman figure. Saved By The Bell 2015!